We celebrated Kevin’s birthday at a hibachi restaurant. 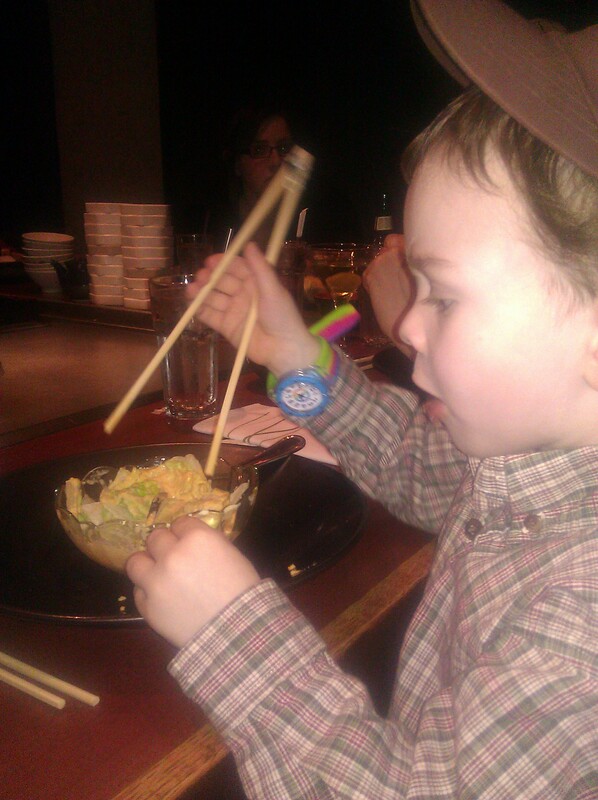 Toby was having lots of fun with the chopsticks, while Nomi stuck with the fork. 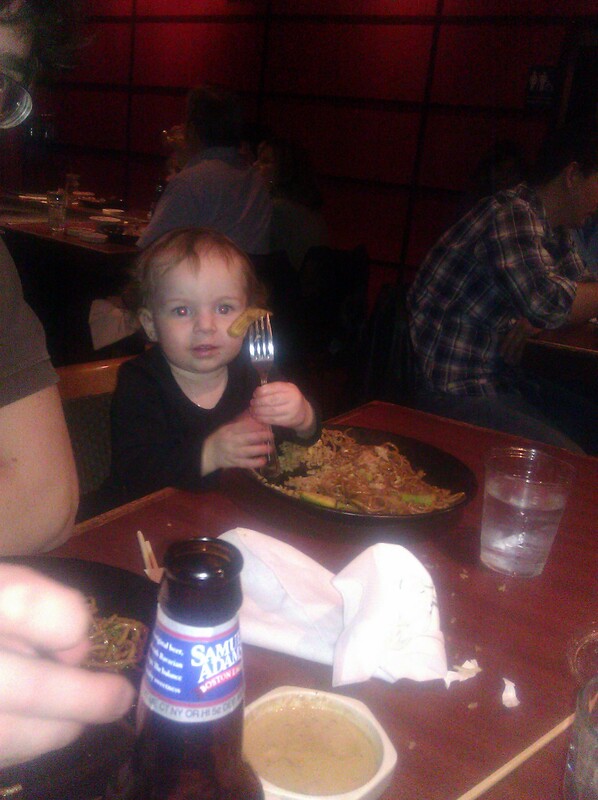 Our pasta boy ate his weight in rice and lo mein noodles, while Nomi ate all the teriyaki chicken. Today was thank-you-note catch-up day. I really, really hate getting out of bed. This is the watch on my midwifery bag. I spent forever looking for an analog watch with seconds marked out that was waterproof, so this is a great find. My IKEA couch in the new master bedroom is the best spot in the house.